This past Wednesday Peter and I floated the lower McKenzie from Hayden Bridge to Armitage State Park. The water was in fine shape as you can see from the hydro plot below. There was little or no hatch until late in the day. During the day insect activity was very sporatic, a few caddis, a huge stonefly, but really nothing that brought fish to the surface until later. Between 3-5pm we did see March Browns, Blue Winged Olives and a few Caddis. It was during that late in the day period when fish were willing to come to a Purple Haze style parachute pattern. The rest of the day we found success swinging wet flies, March Brown Emergers, Possie Buggers, Dark Cahill’s and Pheasant Tail Soft Hackles. Nymphing was also effective, we used a large Pheasant Tail Jig pattern as the bottom fly and a mid sized Flashback Pheasant Tail above it 15 inches or so. The entire rig was dropped off of the indicator about 6.5ft. 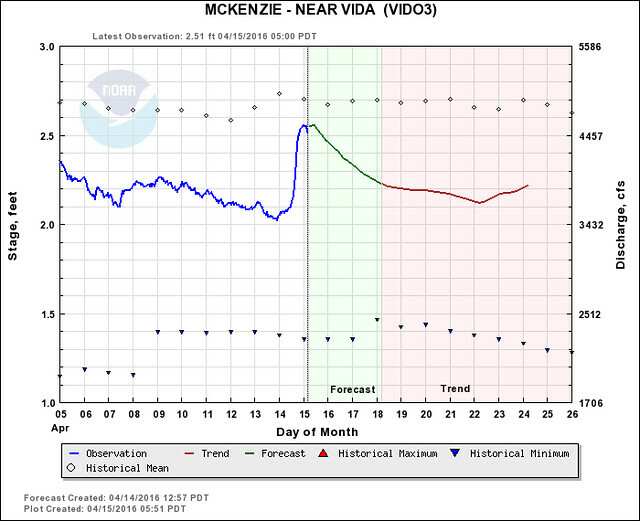 You can see from the water level graph that yesterdays rain bumped the river up considerably. It will need a few days to come back into shape. 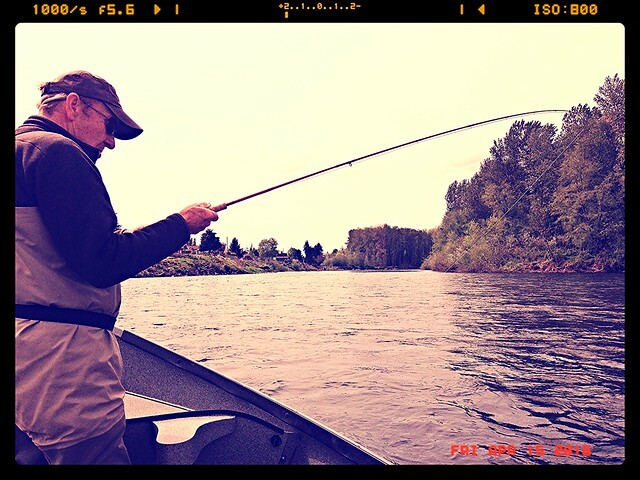 Fishing should only improve as we slowly warm up to Spring!